Unless you want to ROB a Bank. I don't think you will. Then read on about this instant money machine. Resell Our Premium Softwares - LetSpinio Elite + LetSpinio Platinum + LetSpinio Jacker + Template Hub + LockerKosh as Your OWN Software & Keep 100% Of The Profits. Imagine how Easy it is to SELL to Your Clients an Account in World's Only SAAS Based Gamified Lead Generation Tool. Your Clients Will Easily Pay You $500-$999 For this Heavily Loaded Software. Today you will pay one time only single simple investment. 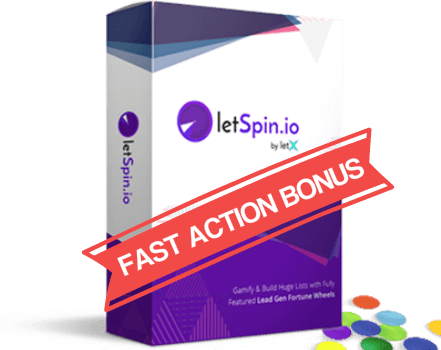 You will get a Total of 500 LetSpinio Accounts to SELL. 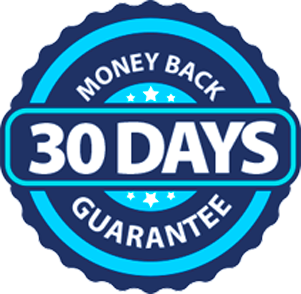 YOU SELL JUST 1 ACCOUNT FOR $500 - YOUR INVESTMENT IS BACK. AND YOU STILL HAVE 499 MORE ACCOUNTS TO SELL. You Can Easily Sell This to 10 Clients in a Month and Start Earning $5,000-$10,000 in a Month. Based Lead Generation Web SAAS App. With LetSpinio agency if you can Bring just 1 client, your Investment will be Back & Anything above is your core profit. Gamification in Lead Generation is the Future. With people becoming Smart LetSpinio always keeps you One Step Ahead. Businesses, Marketers & Entrepreneurs will Happily Pay YOU $500-$999 for a Single Account in LetSpinio. Get 10 Clients and You are Easily Earning $5,000-$10,000 Per Month. Your One Time Investment will be Back in just 1 Week. This is a ZERO RISK Smart Investment with Guaranteed 20X Profit. We Won’t Offer Agency Rights Ever Again. Sales Presentation will remove all the Guesswork so you can Focus on all the all important task of Selling. Our pre-made Official Agreement will ensure you make Sales with proper Legals every time.You will be all assured of complete legal transaction. Official Agreements require Official Good Looking Invoice. This will ensure your reputation is always High in front of your Clients. We wanted to make your Agency Investment a Complete No-Brainer. Hence, we took your clients' Support Responsibility. You can Only Focus on Selling more Accounts for More Profits. We are going to take care of all of your Clients's queries & support enquiries. This is a One Time Offer valid Only Till this Special Launch. This is Biggest Bonus that you are receiving Right Now. We have spent a Total of $1499 to get all our Sales Material ready including Sales Pages, Sales Graphics & Sales Videos.You will get all of them for Free with your Agency License Purchase Today. Q: When can I start selling? You can start selling LetSpinio accounts from 1st March 2018. All Agency Material will be delivered to you prior to 1st March. Q: Is there any minimum price I need to sell at? You can sell LetSpinio with your services at a minumum of USD 97. Also, you cannot give away LetSpinio or any version of the same for FREE or as a bonus or a giveaway. Q: On which platforms can I sell LetSpinio? You can sell LetSpinio on any platform of your Choice. Also you can sell it on your own Website as well. You cannot sell on JVZoo, JVShare, Warriorplus & ClickBank. Q: Do I have to manage Support myself? Q: Will I get any help to sell LetSpinio to my Clients? Yes, you will receive our Done for you Agency Outreach Material to start selling it to your Clients at ease. Moreover you can reach out to us to ask for any help that you may want. Q: Can I disable or deactivate a User if he discontinues the Subscription? Yes, you will be able to Edit, pause or deactivate someone’s account in case of a Subscription failure or a Refund from your Agency Dashboard.